BJP MLA Vishnu Kumar Raju said that the governor had spoken about AP development. Speaking to the media on Monday, the BJP said it was committed to AP development. Talking of all things in the assembly tomorrow said. Vishnu Kumar Raju said that the issue of misusing the people in the matter and the help of the Center in the Assembly will be explained in the Assembly. The Bharatiya Janata Party (BJP) leaders at the BJP's LP Hall in the Assembly have expressed serious objection to the hornings organized by Katragadda Babu on Monday morning, when Minister Manikyala Rao, Vishnu Kumar Raju, Somu Veerraju, Akula Satyanarayana and Madhav were present. They objected to the hoarding of how the government would allow the hordes of what kind of discrimination was. This should be the purpose of the TDP or the individual. These hoardings are very serious. 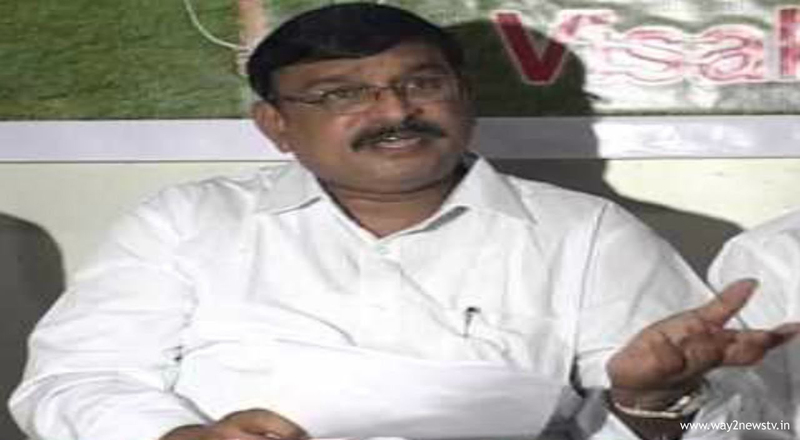 MLC Madhav said yesterday that TDP leader Mullapudi Renuka will be shouting BJP leaders. TDP how she speaks in TV debates. The next day, another TDP leader made us flexes in the assembly. We are ally. Our party president Amit Shah had telephoned Chandra Babu because he followed the allies. Madhavan said, "Some of us are saying that our party has been threatened by phone and he is talking about it. Minister Manikyala Rao said the status was not extended to any state. The evidence should be given to any state. Only ongoing projects have been awarded to the GST exemption. That is the mistake if you want special designation. Similarly, GST is at the forefront of the idea of exemption. Our party president has clearly stated this. He said that Pawan Kalyan should study the JFC report. The MLC Somu veerraju said that such committees come in a lot. We are talking about Governor Speech tomorrow. A few commentators say that I am the MLC's office is the resource we gave. If our party is left, the MLC will leave the post. He criticized the readers who are reading the criticism against us. Some people say I have not won as a Ward Member. And questioning whether or not and how I will continue in a party forty years. We do not have a vote. We do not have a note in the state. Here we have only four positions commented.